As one of the most popular powered air respirators in the world, the award winning Adflo PAPR has become synonymous with welders’ respiratory protection. As an Adflo owner, you trust your Adflo PAPR system to protect you against welding fume. You have made the right decision to invest in your health. But would it surprise you to learn that you may be blowing it all away. Literally. Respirators are classified using a Required Minimum Protection Factor (RMPF) in Australian and New Zealand Standard AS/NZS1715. This indicates, if properly worn, the level to which the respirator protects the wearer from the surrounding pollutants. The 3M Adflo Powered Air Purifying Respirator (PAPR) when worn with any of the 3M Speedglas Respiratory Welding Helmets has a RMPF of 50, meaning that they supply air which is a minimum of 50 times cleaner than the air the welder would otherwise be breathing unprotected. This of course assumes you are not attempting to clean the filters that protect your lungs. The particle and gas filters cannot be cleaned. Do not attempt to remove contamination using for example compressed air as this will destroy the filters, the equipment will not give the expected protection and the warranty will be invalidated. Unfortunately, this is a warning that is often overlooked, ignored or forgotten and it’s a warning that if not adhered to, puts your health and back pocket at risk. The Adflo filters are built specifically to capture welding fume. They are not built to deal with high pressure compressed air. 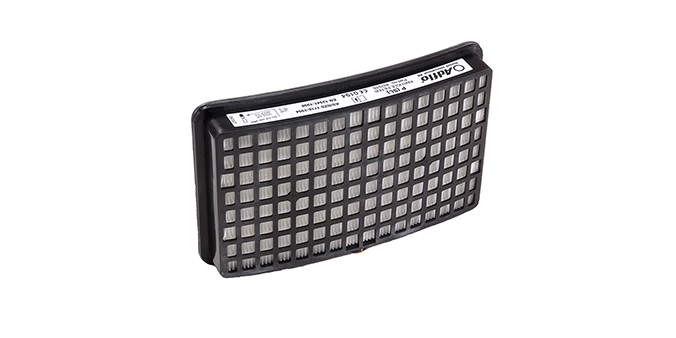 When you use compressed air to blow out your PAPR filters, the force of the air can create holes in the filter. These holes can be extremely small meaning that they may not be visible to the naked eye. As a result, your filter may appear to be in working order, however, particles may be able to fit through the holes and reach your airways. This would mean that the integrity of the filter has been compromised and you are not receiving the desired level of respiratory protection. Furthermore, when larger particles make their way through the filters they can enter the Adflo motor, causing irreparable damage. Damage caused by large particulates entering the motor as a result of cleaning your filters voids the Adflo motor warranty and can be costly to replace! Regular maintenance is key to keeping your Adflo powered air respirator in good working order, ensuring you remain protected against welding fume. Monitoring the condition of your filters for any damage prior to the start of each shift is recommended to make sure you get the most out of your powered air respirator. If you notice any damage, particle breakthrough, or the filter becomes loaded (indicated by the particle loading indicator turning red), change your Adflo particle filter and pre-filter immediately to ensure you are receiving the desired level of protection. Regular care & maintenance of your Speedglas welding helmets with Adflo PAPR helps ensure it keeps performing and providing you with award-winning respiratory protection!